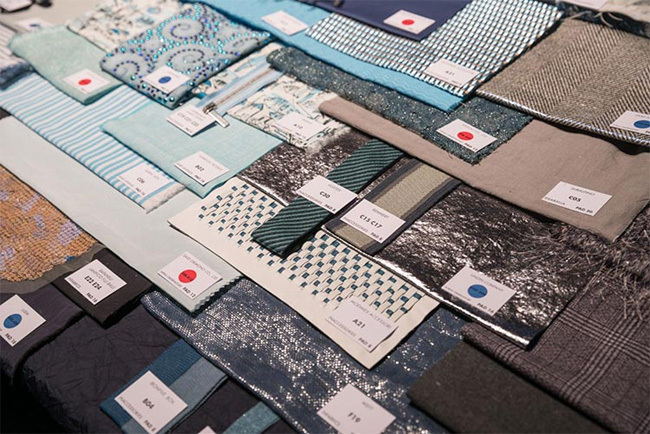 Italian textiles have been increasingly successful in the past season, a theme common to exhibitors whose numbers were well up on last year by 14%, and foreign visitors up 10%. The recent demise of Silvio Albini, the previous Milano Unica president led to a heartfelt tribute by present president Ercole Botto Poala to the leading entrepreneur and strategist who had been intimately involved in Milano Unica’s direction and changes. Paul Smith, back at Milano Unica after an absence at the edition in July 2017, spoke of the need to convince young men to wear suits by accessorising them in a different and innovative way. This sentiment was echoed by The Woolmark Company's Global Strategic Advisor Peter Ackroyd, who said: "Technical fabrics for the athleisure look sit well with retro suitings for a more casual approach to formal dressing." Fashion tech was the second main theme identified as defining the season. 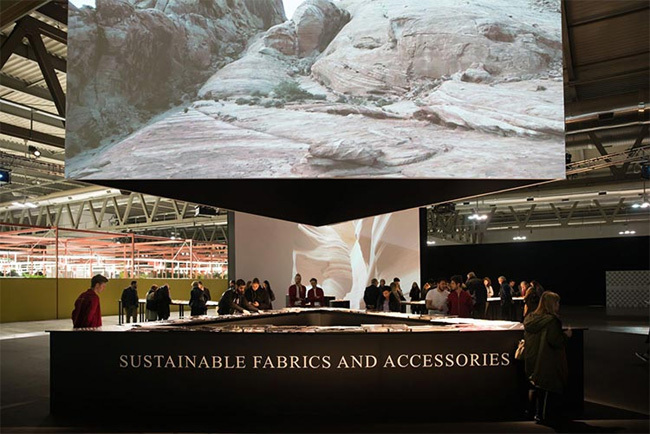 Both of these, sustainability and technology, point to why Merino wool was prevalent in this year’s high-value, high-profile summer collection. Presenting Vitale Barberis Canonico’s ‘Supersonic Man’, the designers pointed out the versatility of summer wool for the traveller, elegance allied to resilience, crease resistance, with natural stretch - the techno fashion element. Generally, the trend for Summer 2019 was towards clear-looking fabrics with definite graphics: sand colours embellished with stripes and checks, well-defined gingham checks, stripes, and smart but relaxed suitings with a sense of fantasy. These raised the profile of traditional summer cloths by exaggerating some designs to fit in with the flamboyant mood of the new season. Others went in the opposite direction, with a vintage look and underplayed designs, often in micro form. As well as plain weaves, subtle geometrics were given a three-dimensional appearance by using irregular yarns. Colours are lively, light and airy, with touches of floral spring colours - pinks, greens, blue cream and white. Lanificio Angelico defined the season as one of movement, new Gorgomoro fabrics echoing undulating patterns in comfortable wool-based weaves, and referring to sustainability as the use of local soft water from the nearby Gorgomoro tributary, exploiting natural attributes. Leading British weavers were certainly embracing spring with lightweight tropicals, particularly at Fox with a new spring quality, Fox Air and an 'uptwist' 300gm travel suiting in dark and pastel hues, strongly resembling the finish and crisp handle of Fresco fabrics of yesteryear. Taylor and Lodge featured several suiting qualities from the archive in lighter weight blends of fine micron Merino, blended with summer kid mohair. Joshua Ellis with a taste for the exotic, used summer wool as a major element. 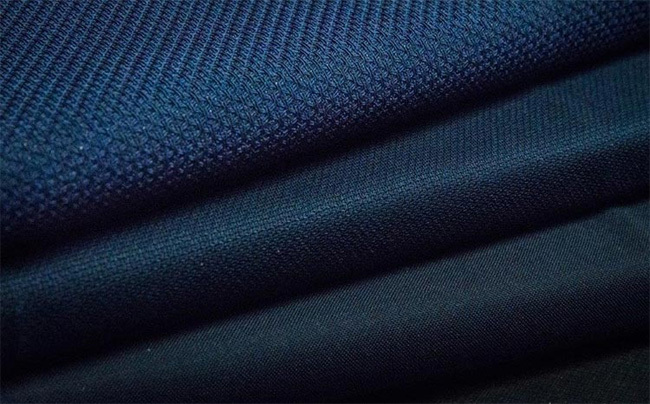 Revisiting successes, Dormeuil’s Tonik quality sums up the suave style of the 1950s and 60s, as the fabric used for James Bond films, is revisited in pure Merino wool as a light contemporary cloth.